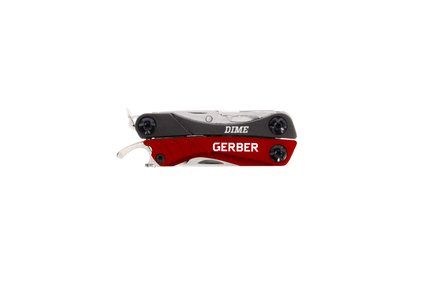 Gerber Dime multi-tool. Gerber took the standard keychain multi-tool and made it better. 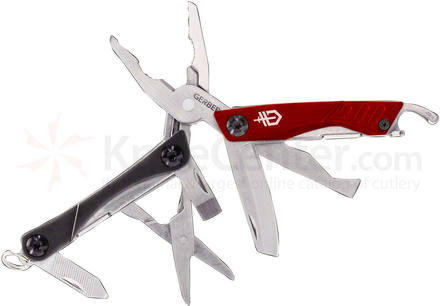 In addition to stainless steel pliers, wire cutters, a fine edge blade, spring-loaded scissors, flathead screwdriver, crosshead driver, tweezers and file, the Dime includes a unique blade designed to safely cut and score plastic packaging and a bottle opener that is exposed even when the tool is closed.